We offer a Bible-shaped cremation urn, available in Natural Cherry (as pictured) or Walnut wood, with the entire text of Psalm 23 laser engraved onto the front of the urn. 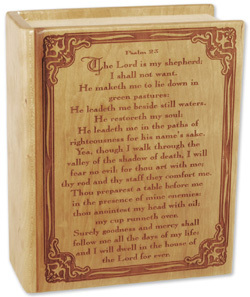 With an attractive border design, unique book shape (which includes laser engraved "pages" for a realistic effect), the Psalm 23 Wood Urn is a beautiful memorial urn for a loved one. For a more traditional wood urn design, here is our Psalm 23 Cremation Urn, available in your choice of Oak, Walnut, Cherry, or Maple wood. 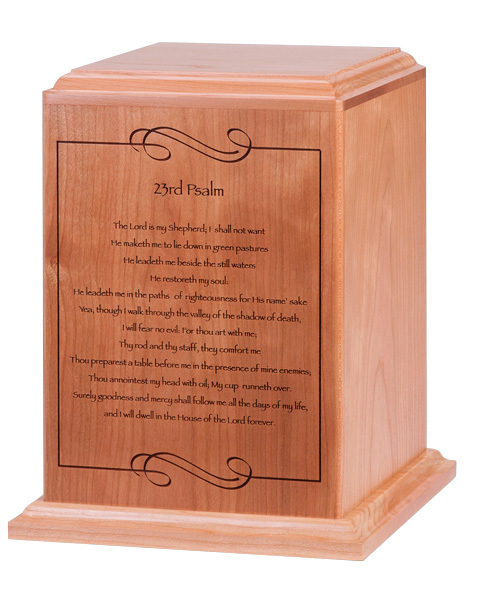 This funeral urn also features the entire Scripture text of Psalm 23, and can be engraved with a personal inscription or epitaph on the top or back of the urn for a beautiful religious memorial to a loved one. 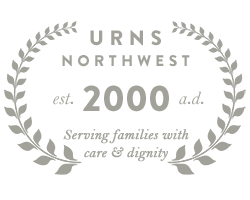 All of these wood urns are made in the USA from the finest materials. 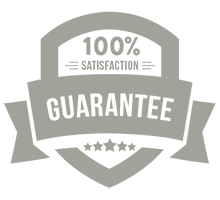 Made to order, generally within 2-5 business days.